Scrapbooking is something that you can do to capture the moments you treasure with you family and friends. The great thing about scrapbooking is it gives you the opportunity to share those memories with your loved ones as well. Of course, photographs and home videos capture memories as well. But with scrapbooking, you have the chance to add your personal touch and show your personality. 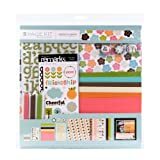 To be able to make a professional looking scrapbook, you do not need to spend a lot of money but you do no need to invest some time when planning and making the scrapbooking. If you have not scrapbooked before and plan to start, do not be overwhelmed. Here are some scrapbooking tips to get you started and point you in the right direction. The first thing to do is organize your photos. Your photographs can be your first scrapbooking project. Arrange them into different themes and events so that you will not get overwhelmed by the sheer volume if you have a lot. Use envelopes as a photo organizer and label them. Then you can just pick one theme or event and start from there. You are now ready to pick a theme from the set you have chosen. The best way to do this is to lay the pictures out to see if a particular thing stands out like a color or an item so you can build a whole theme around it. If for some reason you get stuck for an idea of a theme, there are a lot of resources to help you out. There are many scrapbooking tips you can get easily from the internet. Search blogs and messages boards of scrapbooking websites to get ideas. This is the most fun when scrapbooking. It is where everything comes together. 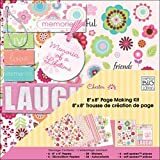 You can choose a lay out design that is very simple if it is your first time scrapbooking and make them more complex as you become expert in scrapbooking. For a good scrapbooking tip, add the embellishments that you believe will make the pages look good. You can also add a journal block to tell the story of that particular scrapbook page. Do not forget the title. It is also an important part in telling your story.